The recommendations are based on observational data and conclude that “it is essential that physicians treating severely unwell patients in any setting are not deterred from prescribing NAI drugs as a result of confusion over efficacy. This is especially true for patients hospitalised with proven or suspected influenza”. 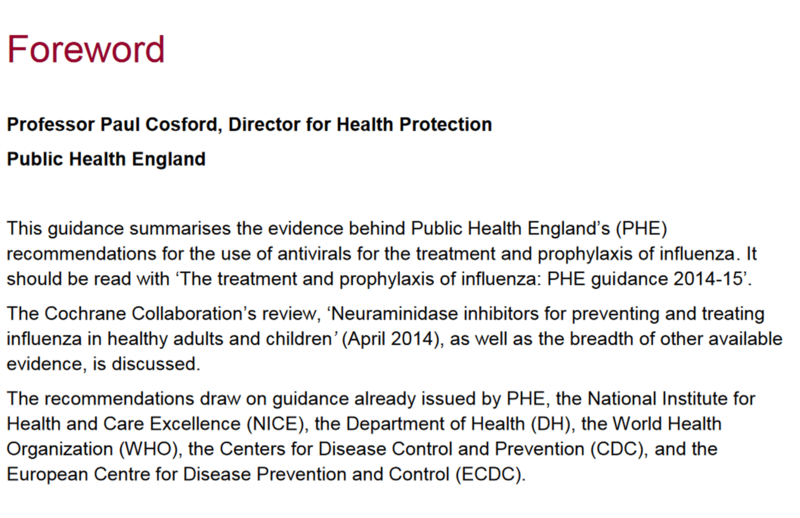 The use of antivirals for the treatment and prophylaxis of influenza: PHE position statement. Department ofHealth 2014.